From carrying diseases to reproducing at rapid rates, mice and rats cause a variety of problems for households. Fortunately, it’s easy enough to prevent infestations on your property. 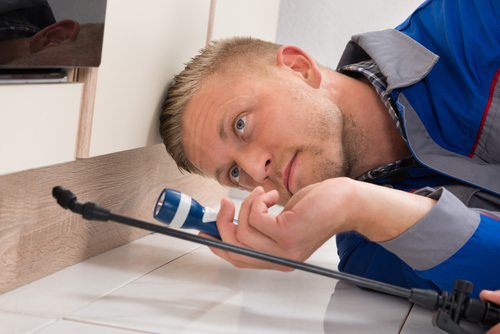 Mind the following helpful do’s and don’ts of rodent control from professional exterminators. Rodents typically enter the home through gaps and cracks around windows and doors. They may also use holes in your roofing or plumbing. Seal any openings with steel wool and caulk that will present a challenge for rodents to chew through. Rodents are attracted to food residue in trash bins, so take out your garbage regularly. Keep outdoor receptacles away from doors and windows, and secure them with tight-fitting lids. Clean food debris out of trash bins with soap and water. Have a local rodent team inspect your home. They’ll take a look at your property’s interior and exterior, checking your baseboards, cabinets, and foundation for holes and cracks. They’ll also survey your crawl space, basement, and attic for nests and droppings. Mice and rats are drawn to cluttered areas of the home, which they use as shelter. Reduce clutter by recycling any cardboard boxes and stacks of newspapers you might have lying around. Donate old piles of clothes and shoes to charity. Keep food in your cabinets and pantries tightly sealed to deter rodents from feasting on your groceries. Wipe your kitchen countertops and tables after each use to prevent mice and rats from sniffing out food residue. Rodents also tend to use overgrown trees and shrubbery as pathways into your attic. Have outdoor foliage trimmed and pruned to cut off these routes to your home. If you have a mice and rat infestation on your property, Danny's Termite Control & Pest Control will provide you with dependable rodent control solutions. For over 50 years, this local exterminator has offered commercial and residential treatment services for termites, bed bugs, spiders, fleas, roaches, and rodents throughout Central and Eastern KY. Call (859) 792-1245 to request a free estimate on rodent control. Visit them online to learn more about how they’ll keep pests out of your home or business.